Patrick Bouchet is Professor of Sport Management and Marketing within the Sport Sciences Faculty at the University of Burgundy, France, and is a member of the Socio-Psychology and Sport Management research group. His research interests are actors’ behaviours (consumers, groups and organisations) linked to sport consumption (event, tourism and retailing). 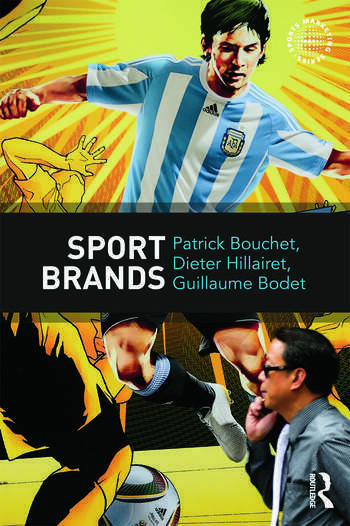 He has co-edited several books on sport management and marketing and two books on sport brands (Economica, 2008; De Boeck, 2009) in French. Dieter Hillairet is Lecturer in Sport Management and Marketing within the University of Clermont-Ferrand, France, and is a member of the Clermont centre of research in management (CRCGM). He is also the director of the Masters course in Sport Entrepreneurship, Strategy and Innovation. His research mainly deals with innovation management, entrepreneurship and branding. He has authored two books about sport and innovation, one book about sport economy and entrepreneurship, and co-authored two books about sport brands in French. Guillaume Bodet is Lecturer of Sport Marketing and Management within the Institute of Sport and Leisure Policy and the Centre for Olympic Studies and Research, School of Sport, Exercise and Health Sciences at the University of Loughborough, UK. His research primarily deals with consumer behaviour regarding sport organisations, events and brands. He has co-edited the Routledge Handbook of Sport Management (2012).